Our Florida alcohol seller server course meets and exceeds Florida Responsible Vendor Program requirements for alcohol certification. Serving Alcohol has over 34 years experience with responsible alcohol certification training. Our Florida responsible alcohol certification will protect yourself and your business. Start and get your certificate easily within one day. We are based in Delray Beach, Florida and part of the Florida Small Business Development Center (SBDC) Network. Many Florida restaurants, nightclubs, bars, and businesses use Serving Alcohol for this reason. Our Florida Alcohol Seller Server certification is designed specifically to meet the Florida Responsible Vendor Program. This places our reputation of Florida alcohol certification above all others in good standing with the state of Florida DBPR (Department of Business & Professional Regulation). This course takes 3 hours or less depending on the individual. It's easy to begin and complete in one sitting or take our training course at your leisure. Leave and come back to the course as many times as needed. When you return, the training will pick up where you last had left. Most liability insurance carriers for alcohol serving establishments (restaurants, bars, taverns, night clubs, etc.) require all employees to be alcohol certified. They will require your staff remain current with state rules, regulations, and laws, in regards to the service of alcohol. As a result, more businesses are requiring our alcohol seller server certificate as a condition of emymentplo. As an owner or manager of an alcohol serving establishment, you can participate in the Florida Responsible Vendor Program. We give you the tools to train your staff to accomplish each of the requirements. Do-it-yourself compliance using our online Florida training courses. With the tools from this link, you can fully comply with the program requirements. If you are not interested in the Florida Responsible Vendor Alcohol Program, you can still use our courses to comply with insurance carrier Responsible Alcohol Manager and Server Training requirements. If you need help, use our Contact Us web page and click Send. 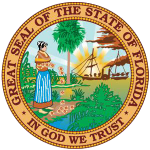 The statutes for Florida bartender license that pertain to Responsible Vendor Training are Chapters 561.701, 561.702, 561.703, 561.705, and 561.706.